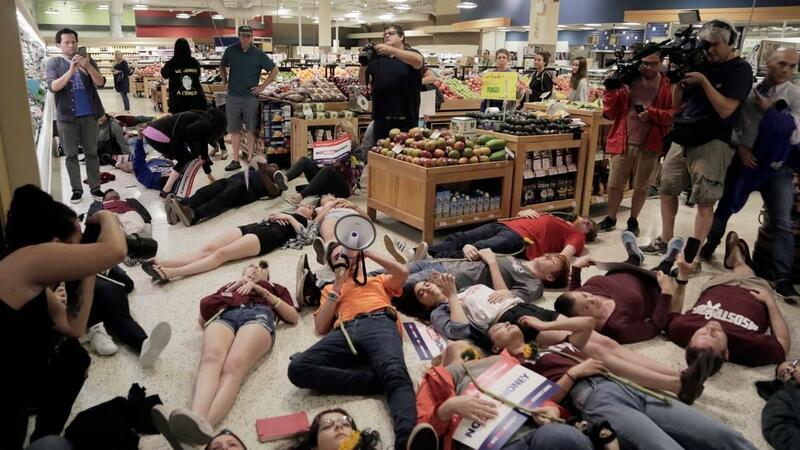 Protesters lie on the floor of the Publix store in Coral Springs for a 12 minute "die-in" to protest Publix's support for Adam Putnam's gubernatorial campaign. Staring down the prospect of a public relations crisis — boycott threats and "die-in" protests included — over its donations to Republican gubernatorial hopeful Adam Putnam, Publix said Friday it has halted all corporate political contributions. 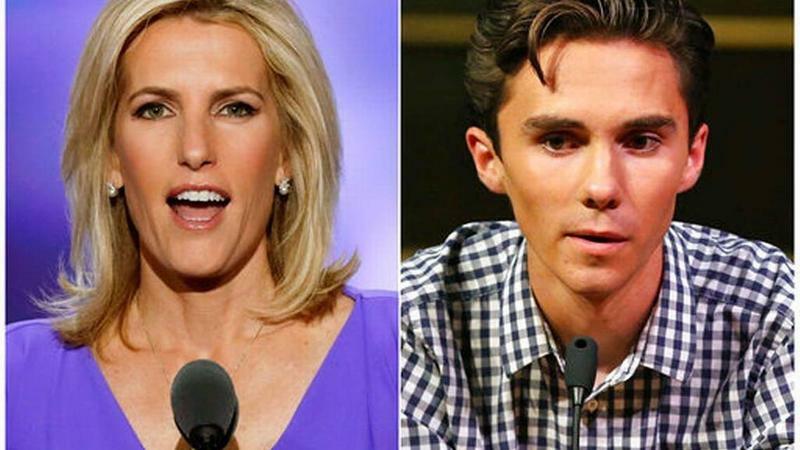 The supermarket giant made the announcement moments before a "die-in" protest planned by David Hogg, a vocal Parkland school shooting survivor and gun control activist. 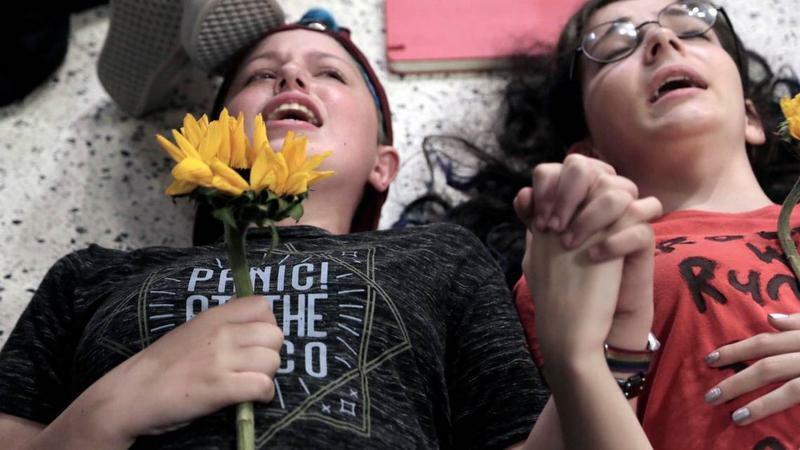 Despite the news, Hogg and dozens of protesters sprawled on the floor of a Coral Springs Publix for 12 minutes clutching sunflowers and signs that read "No NRA Money." 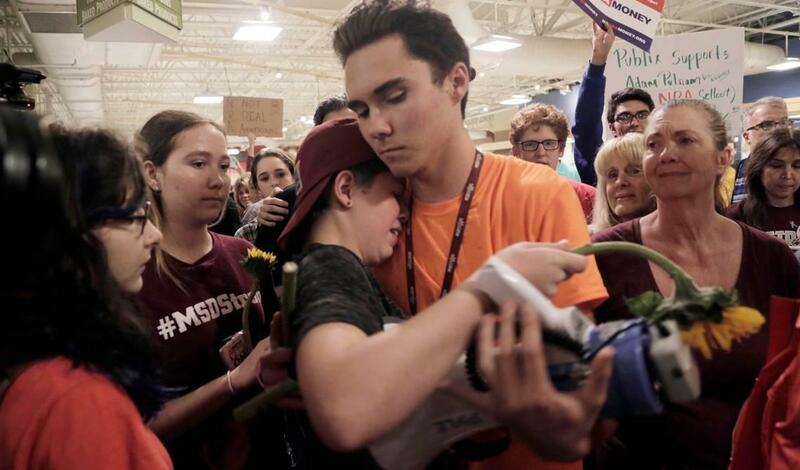 Hogg and other students began their influential movement for gun control in the wake of the Marjory Stoneman Douglas High School shooting that left 17 dead and 17 wounded. They've taken aim particularly at the National Rifle Association, and were angered at the news of the grocer's unprecedented support for Putnam, who once boasted he was a "proud NRA sellout."